almost as a hobby grew to be the core business. In 1988 Hydromat was acquired by Jongert and the company name changed to Hydromar. When Rob Montijn joined the company in 1983, the progressive mindset at Hydromar stimulated him to develop a wide range of hydraulics for yachting. Almost all of the products in our range today grew out of full custom products from the 1980’s and 90’s. In these years Hydromar had to invent and manufacture many parts itself as so few components were ready made and available. 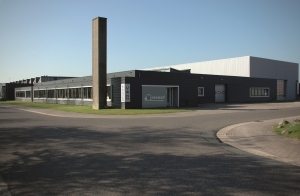 In 2000 a second workshop in Medemblik was build. Also the measure of the yachts and the equipment grow to yachts of 50m. 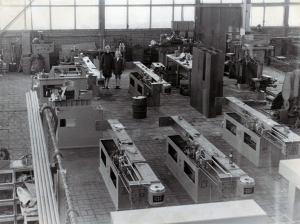 In 2004 Hydromar moved to a large workshop in Wieringerwerf. The production capacity is still growing and also the size of the yachts is growing. The yards Hydromar delivers its equipment to, are getting bigger and bigger and bureaucracy increases. At this point Hydromar realizes that this isn’t the philosophy of the company anymore. They want to focus on high-quality yacht building that rests on cooperation and flexibility from supplier and yard. Therefore Hydromar leaves the Jongert Groep in 2008. In 2009 SMI, ESV and the Cramm Group acquired Hydromar. With an enormous knowledge of machining, shipbuilding and hydraulics the companies complement each other. Within this cooperation Hydromar focus on boarding and lifting equipment for yachts of 30 to 95m.